The team is proud to announce the new themes for MATE 1.6. 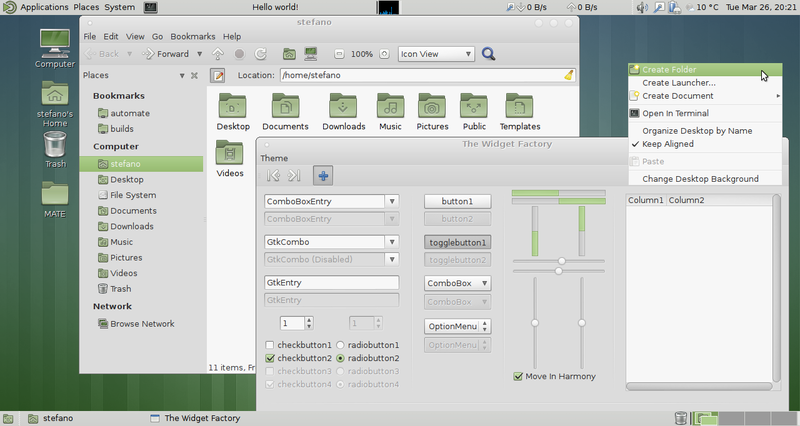 Menta will be the default theme for the upcoming new release. 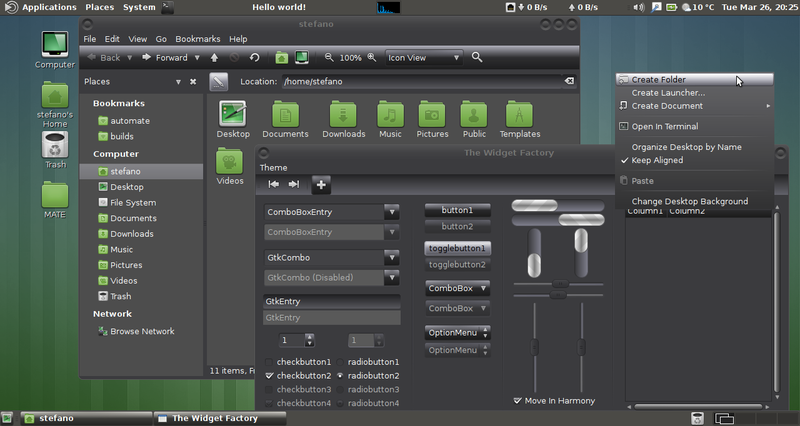 It consists of a nice GTK2/3 theme (based on Mint-Z Improved, no longer maintained, customized for MATE and updated for GTK3.6) and a child theme of mate-icon-theme with green folders. BlackMATE: A black based theme, without green. 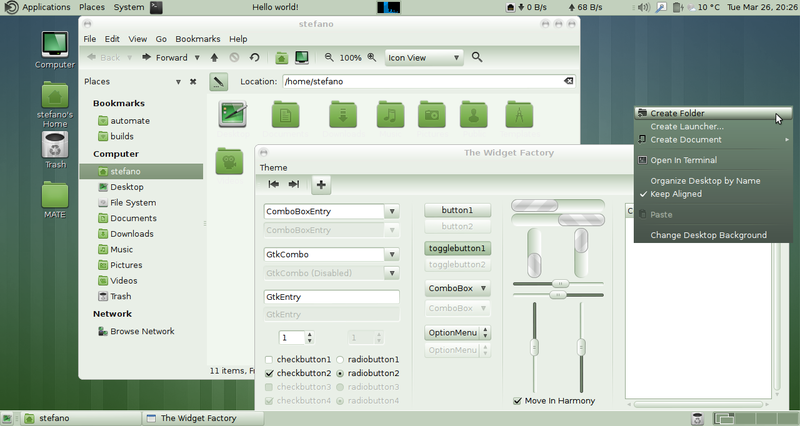 GreenLaguna: A nice theme based on green color. We would like to thank Wolfgang Ulbrich and Marcel Dijkstra for this great job.